This post is a summary of the blog post at MSDN. 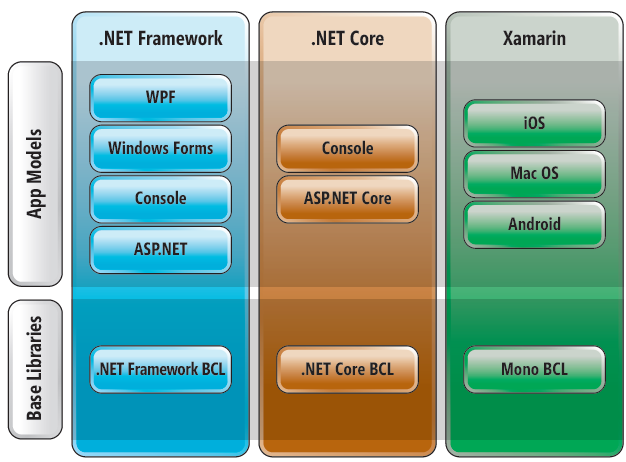 When you’re building modern experiences, your app often spans multiple form factors and, therefore, multiple .NET implementations. In this day and age, customers pretty much expect that they can use your Web app from their mobile phone and that data can be shared via a cloud-based back end. When using a laptop, they also want to get access via a Web site. And for your own infrastructure, you likely want to use command-line tools and potentially even desktop apps for letting your staff manage the system.